Cantt Villas Multan is project of Classic Builders & Developers. Classic Villas are part of Canal Cantt View Housing Scheme Multan. 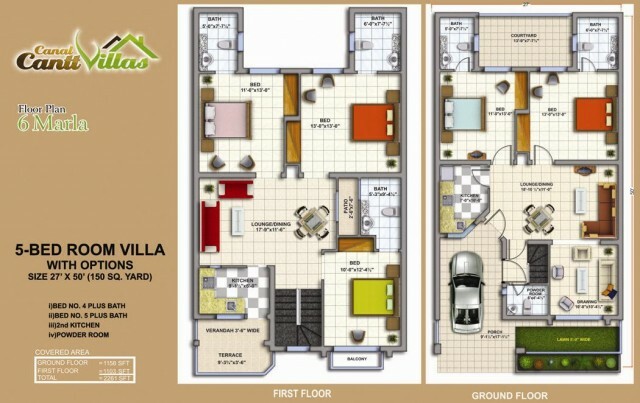 it has two types of Villas consist of 3.5 Marlas and 6 Marlas. Star marketing present houses, shops, and apatapartments in all over Pakistan. multan . just 10 mint drive avay for vihari road 18 kassi multan . I am working in Abu Dhabi UAE i wish to purchase one house in cant villas 6 marla pls sent me all information about this how much i should pay advance and how much will be monthly installment. Which documents you required for this. What is the payment plan 6 marla 5 bed room.